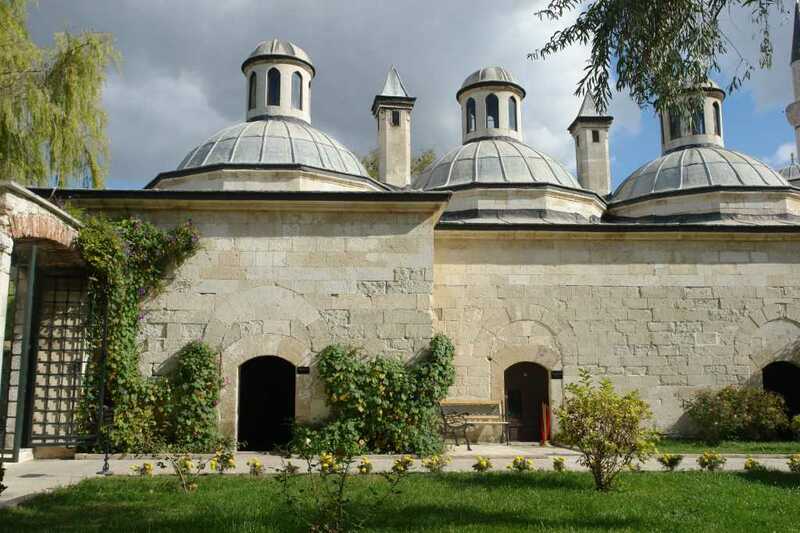 Located by the Tunca River shore in Edirne, Sultan Bayezid Complex was built by grand architect Hayreddin with the order of Ottoman Sultan Bayezid II (the son of Fatih Sultan Mehmet, the conqueror of Istanbul). It covers a field of 22000 square meters. Being one of the most important masterpieces in Edirne, the structure contains the mosque, medicine madrasah, cultivation, darussifa (hospital), Turkish bath,library, kitchen, stores and other sections. When you step into this social complex, you realize that there is a mystic atmosphere with the other buildings. The first part includes the polyclinics, special diet kitchen and personnel rooms. The second part contains drug warehouse and it was used by senior personnel. The last section comprises of bedroom for 6 people and musical theatre. Within that musical theatre, there was a music concerts for three days in a week. In addition to this, famous historian Evliya Çelebi said that once upon a time many sick people were spiritually treated with the music and special refreshing flowers’ smell in order to heal in that part. Because of that it reflects a motto; ‘’music heals the soul’’. That social complex’s hospital staff included the chief surgeon, physician, ophtalmologist, operator and pharmaceutics. 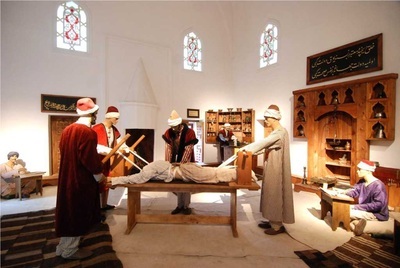 The Bayezıd II Health Complex was renovated by Trakya University and converted into a valuable museum with the contributions of ministry of culture and Mental Health Disorders Readaptation Association in 1997. 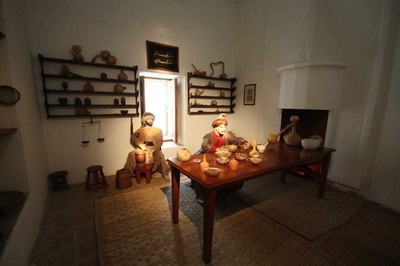 In 2004 it was rewarded Europe Museum Price which creates very priceless situation for it. 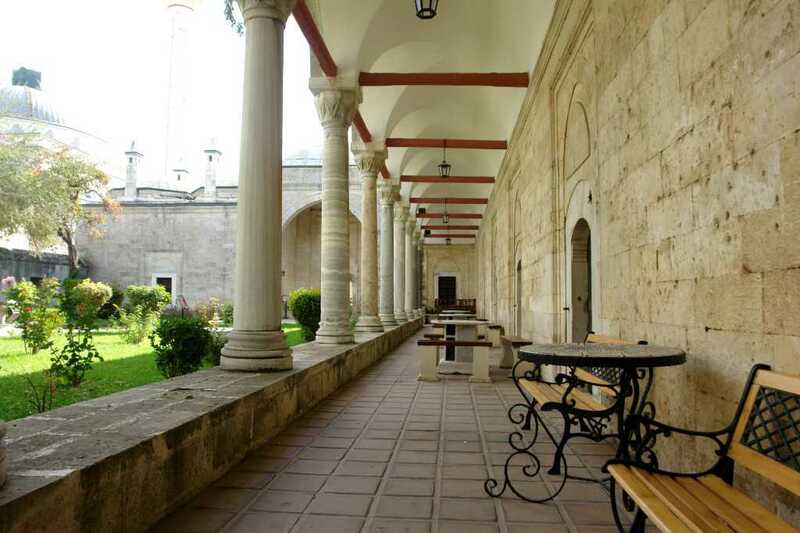 Having three sided entries, the courtyard of magnificent mosque was furnished with the dome porches. The arches of those porches made of bicolour stones were placed on the granite, white marble, green breach columns. There are many fascinating windows to illuminate that section. 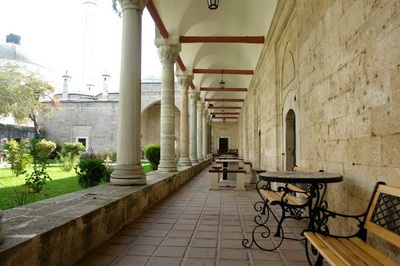 In the middle of this court yard, ıt is found a splendid sadırvan pool (water-tank with a fountain). There is also a little well here. The dome in the narthex is surrogated by charming cloisters filled with stalactite in order to be ornamented. Additionally, the other two domes are spirally shaped. Covering the area of 500 m2, this perfect building dominates all parts of social complex. The diameter of dome is 20.55 m2. The dome of twenty-cornered hoop was supported with an iron circle. The tabhanes with little yard domes which is located on the each two sides of the mosque reflect the Classic Ottoman Art Style. 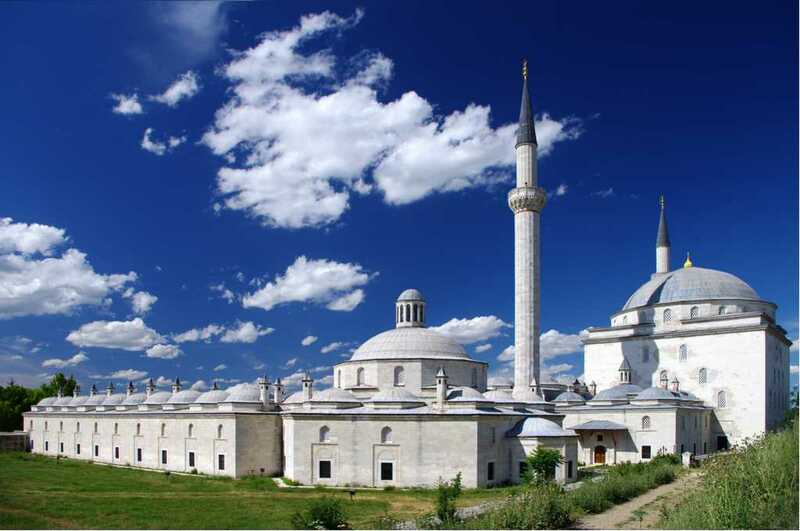 Nearby of those tabhanes include the minarets which are 3.25 m in diameter and 38 m in high. The distance of those minarets is 55 m. It has been firstly seen that the type of the arcaded sadırvan yard was built Beyazıd II Mosque. 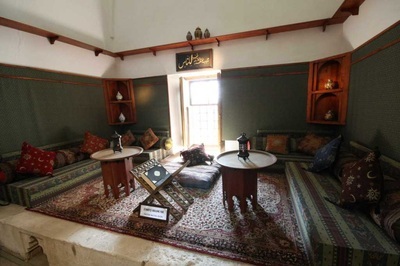 Other features, mimbar and mihrab were made from a special marble: One of the most spectacular samples of wood working art, those door wings, wardrobe lids, window lids were ornamented with geometrical motives, rumi patterns, hatayi, many various flower figures like broken branch and fancy written compositions.